Cabin Bed! Handpainted Triumph motorbike. Can you believe how wonderful this cabin bed is! Very detailed hand painting in colours to match clients decor. 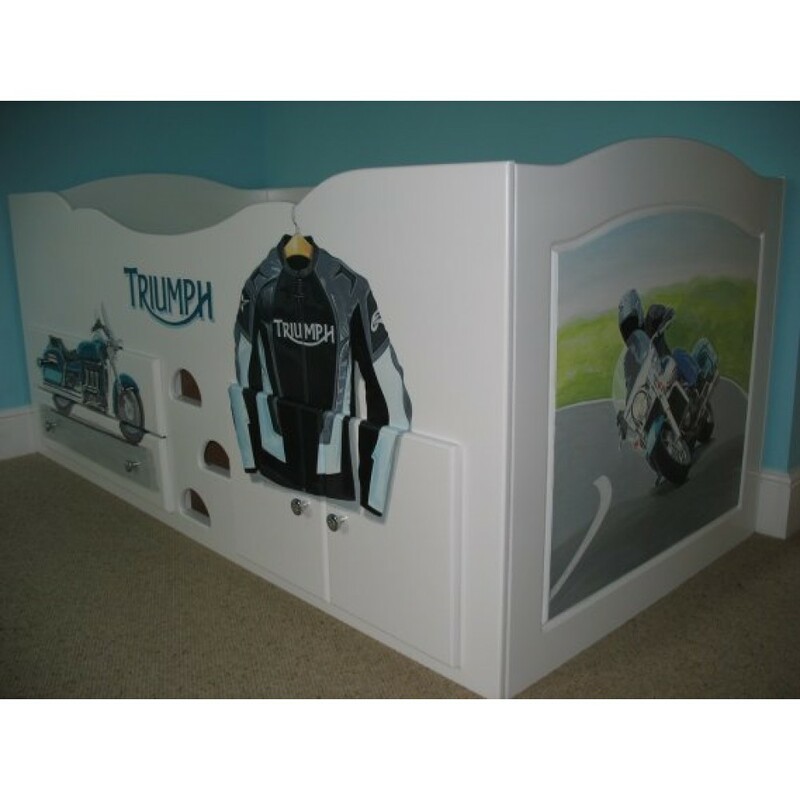 Cabin beds with this type of artwork take a little longer to paint, so therefore will cost more than our 'standard' artwork charge. We can hand paint ANYTHING on any item of Chartley Furniture - view our 'artwork' selection on this web site, or call us with your own samples - NOTHING IS IMPOSSIBLE! Cabin bed shown is 79" long (201cms) x 39" (99cms) x 36" tall (91cms) We can make a cabin bed anysize - as all our furniture is hand made in our Newington, Kent ENGLAND factory - and will last forever!